Indoor instant pet barriers aren’t just for dogs. Works great for cats too!!! Pet containment designed by professionals to instantly keep your dog away from problem areas in your home – no training necessary. 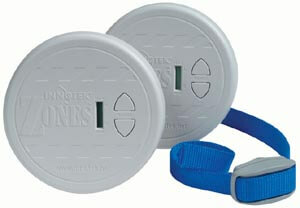 Unlike other deterrents, ZONES™ are totally cordless. You can put a ZONE™ near anything you want your dog to avoid – the trash, kitchen counter or protect your fine furniture. Each ZONE™ protects an area from 2′ to 12′. Our smallest collar yet, only 1.3 oz. 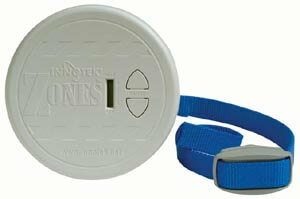 ZONESTM are wireless, cordless and run on AA batteries.